A Clinical Trials Process is necessary to complete and efficent clinical trial. 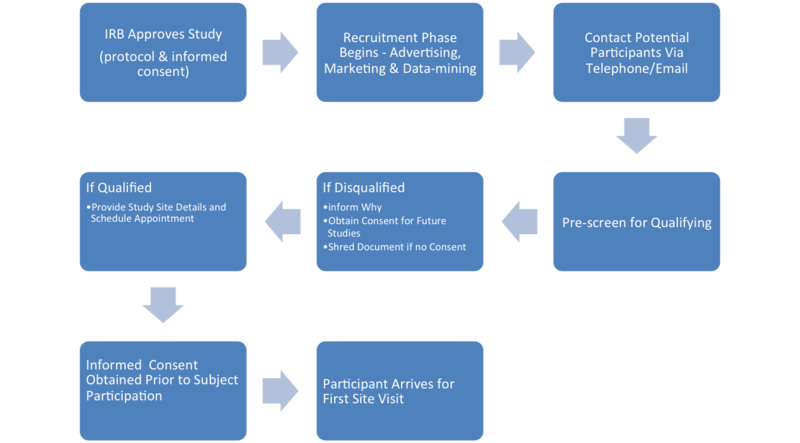 The clinical trials process shown below is a basic overview. We refine and customize specifics based on the objectives of each sponsor/product manufacturer. Global Cinicals handles everything including creating and gathering all source documents, screening qualifying and recruiting study patients, MD exams and enrollment of patients, lab services and blood chemistries(as needed), patient compliance, study site visits, statistical analysis of study data, final report, publish in scientific journal (if available), paperless data compilation, study summary. Every project is customized and follows the study protocol and GCP (Good Clinical Practice). The process shown below is a basic overview. We refine and customize specifics based on the objectives of each sponsor/product manufacturer. 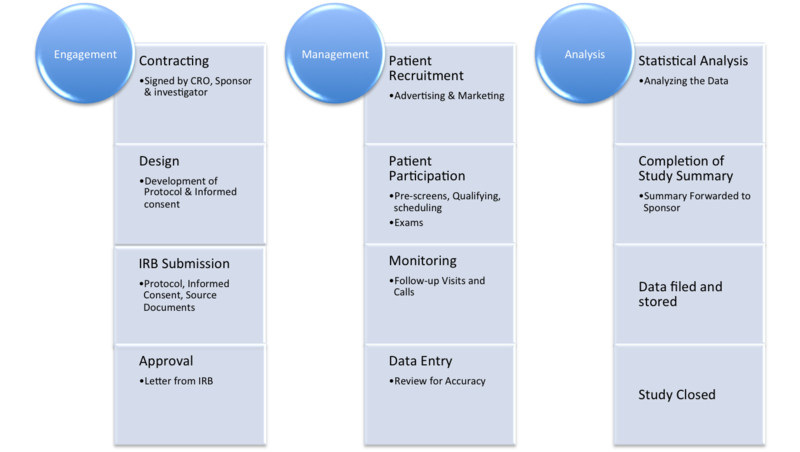 For each clinical trials process, we recruit by using all available tools and resources including strategic advertising, digital marketing, referral marketing and constant education. We recruit participants for clinical research trials including homeopathic drugs, joint/bone, cold & flu, sports nutrition, weight loss, food & beverage and cannabis.